Warning: I am about to post pictures of myself that are less than flattering. 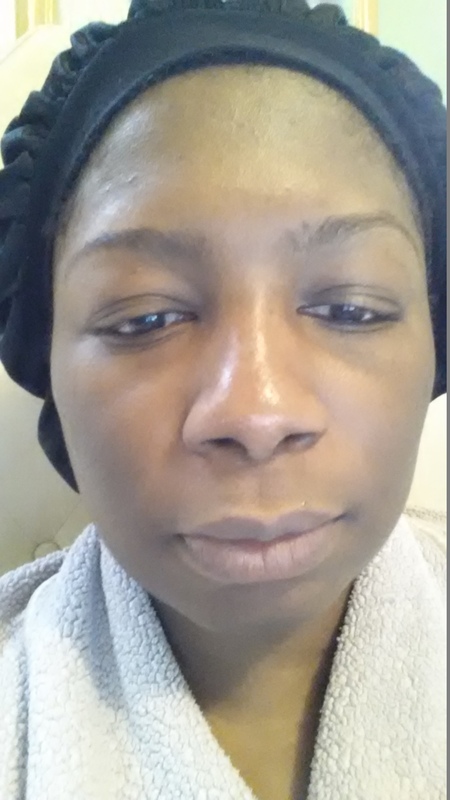 Let’s talk about my 35 year old skin, with its laugh lines that no one seems to see but me. I swear they exist. But, I do have some things working to my advantage. Good genes, I suppose. 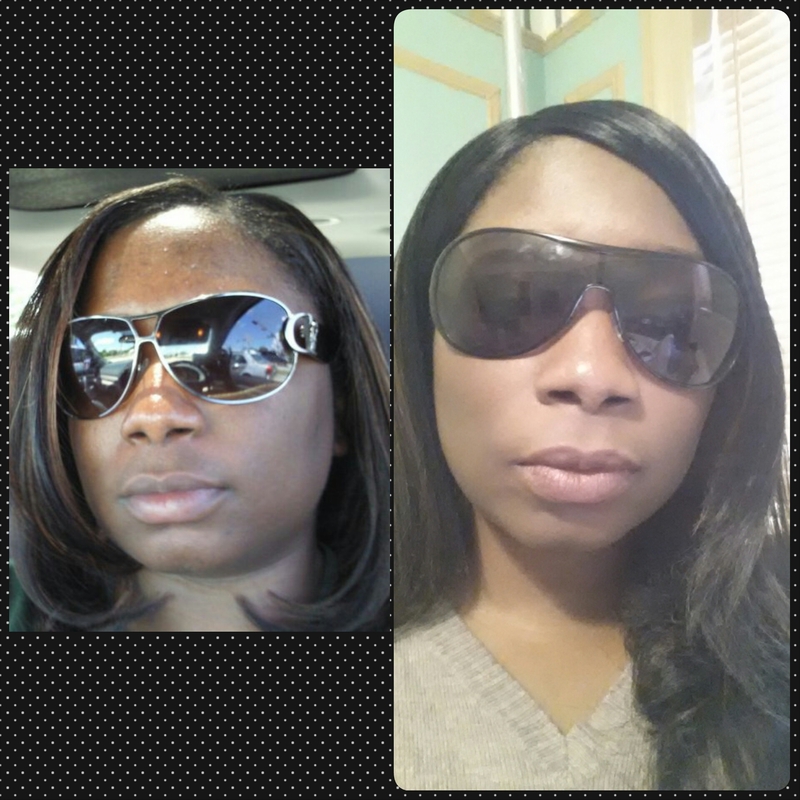 And you know what Oprah says: “black don’t crack.” Or maybe you don’t, in which case you should look up melanin. Loving that bathrobe and satin bonnet look, aren’t ya? Dramatic difference, right? A few spots, but nothing as substantial as what it once was. So, what is my secret, you ask? First – I spare no expense on skin care products. Drugstore brands just weren’t cutting it for me. But when I spend that money, I earn reward points and then get free stuff to try out and you get a post about it. I highly recommend it. The free stuff, that is. 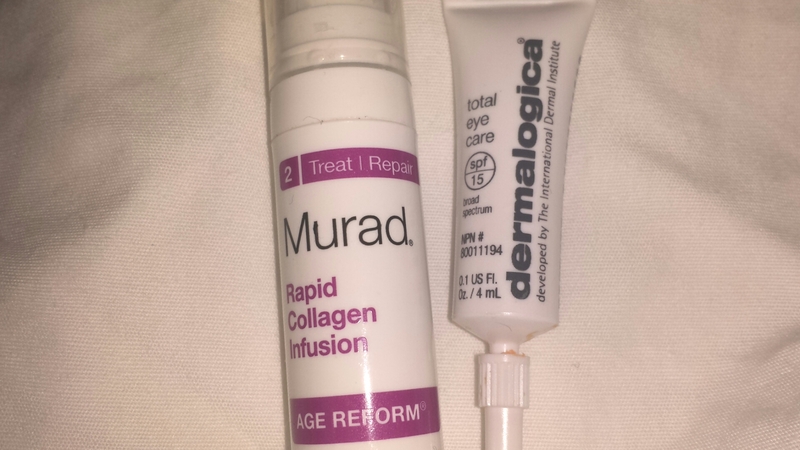 I frequent both Sephora and Ulta for my Dermologica and Murad needs, both of which I was introduced to during monthly facials at Massage Envy. Nothing else – okay maybe some Urban Decay – touches my face. If you have sensitivity to perfumes and dyes, then Dermologica is great for you, since it has neither. Second – And I know it may be tempting, ladies, but you can’t wear makeup everyday. You just can’t. Your pores need a break to breathe. The more you wear it, the more you’ll need it to cover the damage it’s doing to your skin. So, here’s Tqwana’s routine to healthier, clearer skin. Note: This is what I use, which others have said is too strong for their skin. And they are expensive. Know your skin type before trying any product. If you like your current products, stick with them. 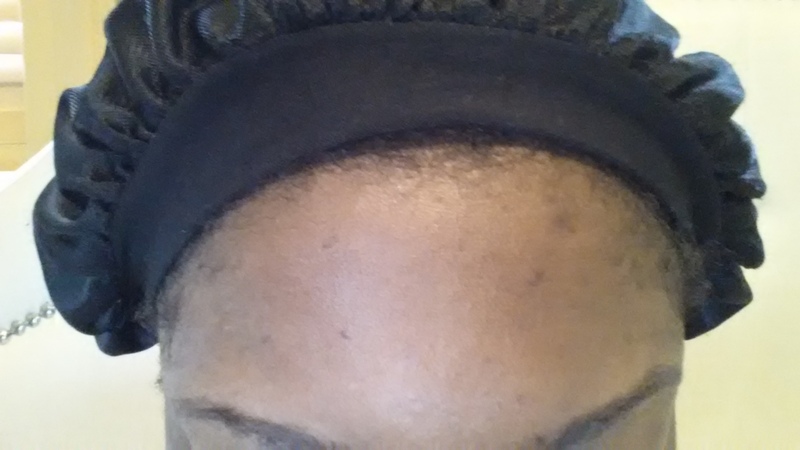 I do recommend exfoliation and toner/astringent in addition to regular washing. So, if you take nothing else away from this post, remember that: Exfoliate and tone. 1. Move to a colder climate (Just kidding. Sort of. It did help.). This should really be eat healthier and drink lots of water. 2. Pre-Cleanse. This is a new part of my regiment. I got a free sample from Ulta of Dermologica’s PreCleanse oil. 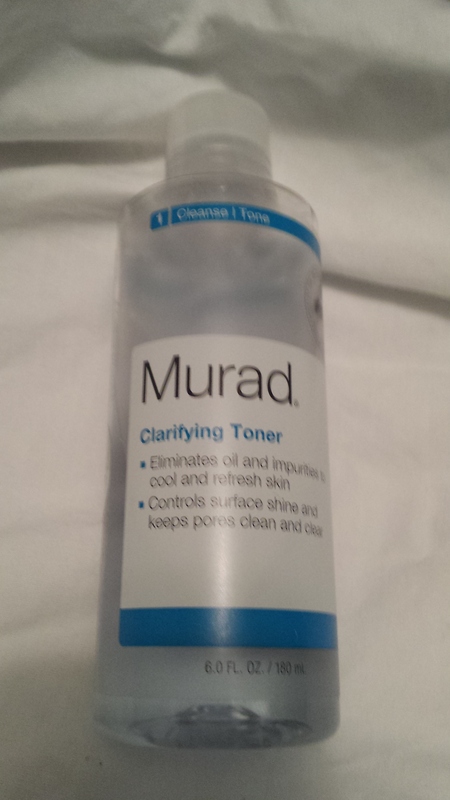 I was iffy about trying this b/c my skin is already combination/oily. So far, though, I’ve noticed my face feels a little smoother and softer than before, and I’ve not experienced any breakouts. 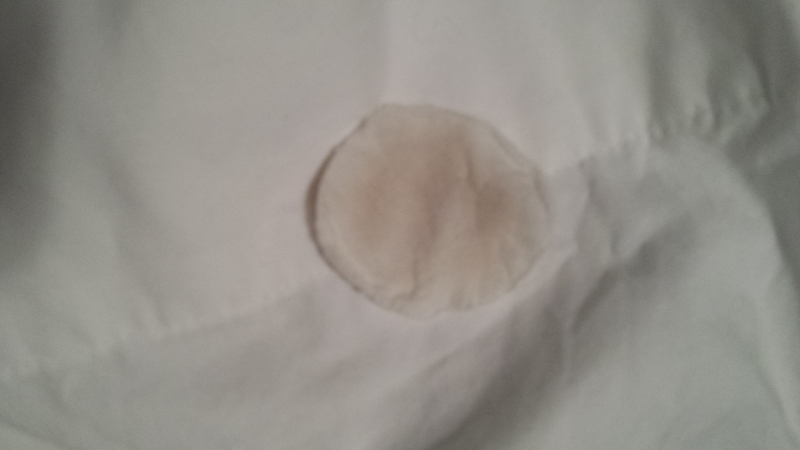 It goes on clear, but turns white when wet. No suds, so don’t expect any. I’ll probably make this a permanent part of my routine. 3. Exfoliate. 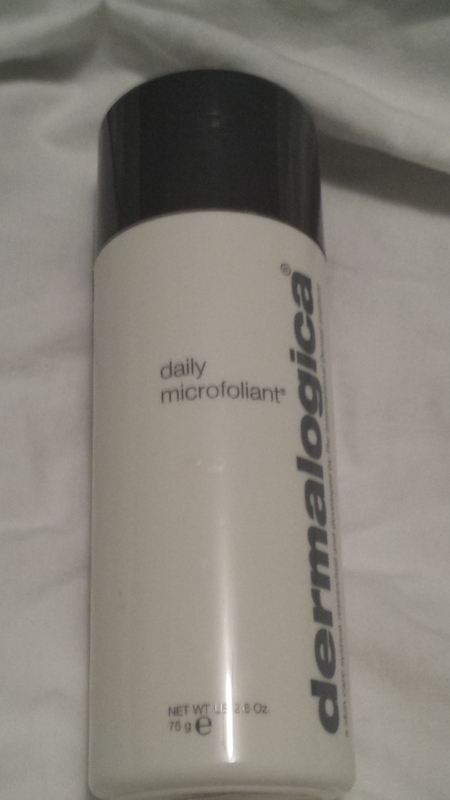 My go-to is Dermologica’s Daily Microfoliant. It’s made of rice, so it’s gentler than other scrubs. It says not to use it in the shower, but I do all the time. All it takes is a small amount in your palm. Get it a little damp and scrub, scrub, scrub. Gently, of course. 4. Wash. 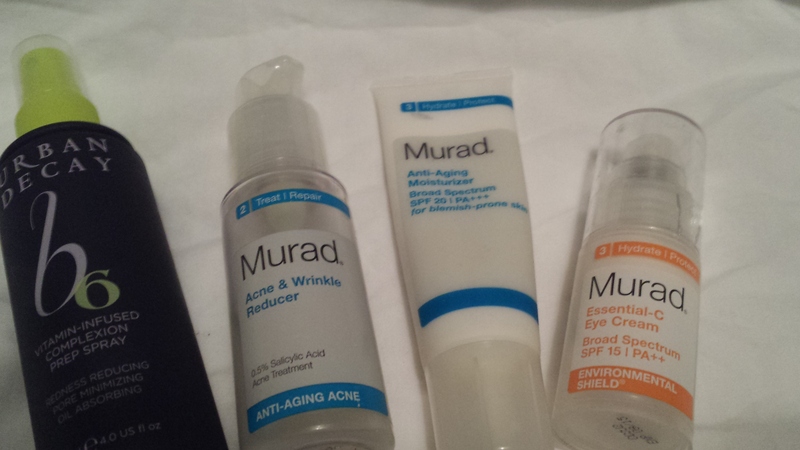 I love Murad’s Anti-Aging Acne line. Use a rotating brush with your cleanser of choice. You get a deeper clean and a little more exfoliation. 5. Toner. Astringents and toners are a must for deeper pore cleansing. I love that tingle that tells me it’s killing bacteria…or something. You may think after all I’ve done up to this point that my skin is squeaky clean. This says otherwise. This is why you need toner. 6. Moisturize. 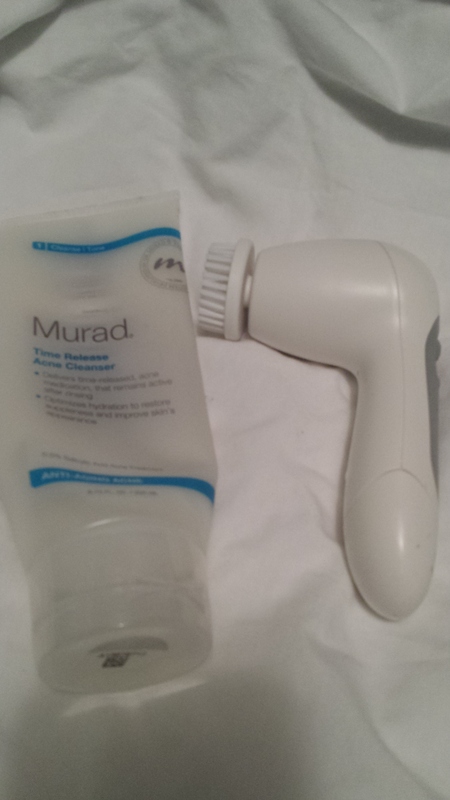 All this stuff, ending with the Murad Anti-Aging Moisturizer. Notice the SPFs on these. Make sure your moisturizer has at least SPF 15. You can’t really stop the aging process, but make sure you’re not helping it along either. SPFs, people. Bonus: These are more freebies that I’m trying. I haven’t noticed much of a reduction in fine lines or dark circles, so feel free to skip them. I haven’t reached the 8 week period when I should start seeing results, so you never know. Tip: Unless it says it’s specifically for the eyes, don’t put it around your eyes. And use your ring fingers to gently tap in product in the eye area. The skin there is the most delicate you have. Tip #2: Work against gravity when applying products. 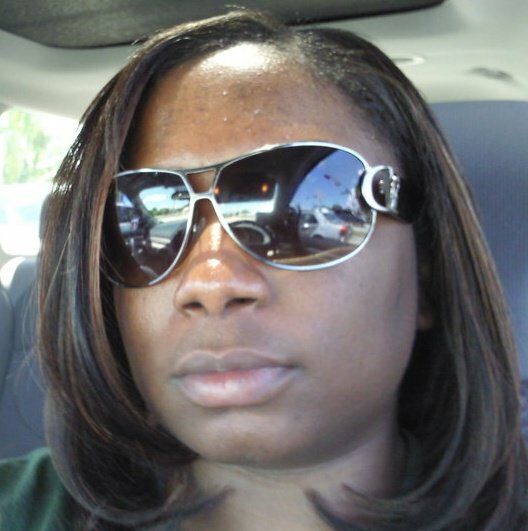 Work them in using a circular motion or smoothing back and up toward your hairline. There’s a reason estheticians sit at the top of your head when doing facials. 7. Results: A recreation of the old picture. Side-by-side comparison. You be the judge. They’re Real mascara (best mascara I’ve ever used, not that you can see it in this picture. Good separation and lengthening.). Urban Decay De-Slick Makeup Setting Spray (works great with my oily t-zone and does wonders for stopping that midday shine).